Whether you realize it or not, your domain will impact the success of your blog. If you’ve set up a free blog on WordPress.com or Blogger, simply losing the worpdress.com or blogspot.com extension on your url will add so much credibility to your blog (see links at end of this section for tutorials on how to accomplish this). GoDaddy is a great place to search for and purchase a domain. Although harder to find these days, try your best to use a dot-com domain as they come off as more credible. If the dot-com extension isn’t available, you can also get away with a dot-net extension or dot-org (if you are non-profit), but try to keep away from all the other extensions as they tend to diminish credibility. Most domains are inexpensive to purchase—however, don’t be surprised if it costs a little money to secure the golden dot-com domain. Some domains, especially good ones, may cost hundreds or even thousands of dollars. The designerblogs.com domain, for example, was a several hundred dollar investment when I purchased it 9+ years ago. I remember how scared I was to drop that much money into the purchase of a domain, but it has proven to be one of the best investments I could have made. Lastly, make sure your domain is simple and something that can be easily remembered. Nobody will ever remember your url if it is too long. Using strong keywords in your url is a great way to get an easy boost in your SEO, but only use keywords if they make sense and fit your brand. Using a completely original name for your blog and url is also a great way to go (Google, Uber & Yahoo are great examples of this). Your domain is a representation of your blog and brand, so don’t be afraid to invest a little time and money to secure the perfect one. Getting a hosting plan (a.k.a. moving to self-hosted WordPress.org) is one of the best investments you can make because it allows for unlimited growth. Free blogging platforms like Blogger and WordPress.com are great, but very limited when it comes to design, customization, and potential for growth. If you are a serious blogger, self-hosted WordPress.org is where you need to be. I know it might seem a little overwhelming to move to self-hosted WordPress especially if you’ve been blogging on Blogger or WordPress.com for a long time, but hey, that’s what Designer Blogs is here for! Hire us and we’ll transfer all of your content and help you make the move as seamless as possible. As with any new thing, there is always a bit of a learning curve, but once you settle into self-hosted WordPress you’ll love it and be so glad you made the switch. The tutorial linked below will walk you through the steps of purchasing a hosting plan (we highly recommend Bluehost) and installing WordPress. From there, if you need help transferring all of your content, contact us and we’d love to help you! You only get one chance to make a great first impression with your blog, so make it a memorable one for your visitors with an impressive blog design. Yes, content is key, but if someone finds one of your blog posts on Pinterest and then clicks over to your blog to read the full article and your blog design is unprofessionally slopped together, it’s going to detract from your content instead of enhancing it like a good blog design should. 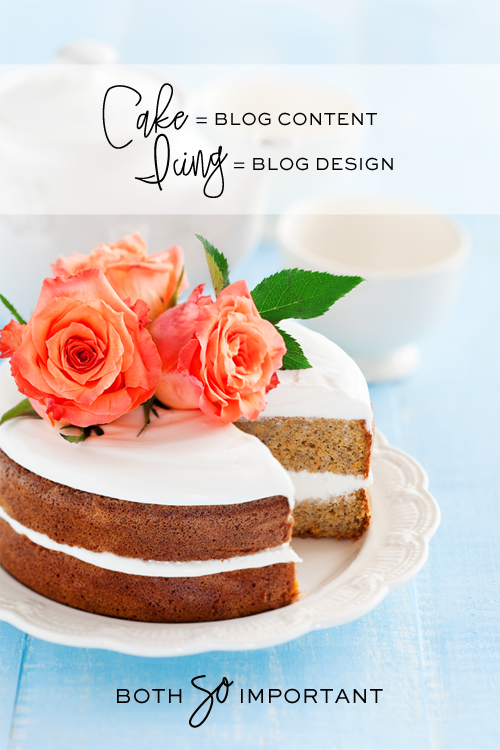 Think of it this way: The content of your blog is like a cake, but the cake isn’t going to look that appetizing if the icing on the cake is a disaster. Your blog design is the gorgeous icing that entices your visitors to want to delve more deeply into your content. Having a great blog design shows you are committed to your blog and adds to your credibility as a blogger. Readers are going to make more of an effort to visit and re-visit your blog when they see effort is being invested into it. 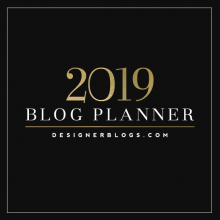 Having a stunning blog design will also positively increase your blog traffic because people are more likely to link to, share, and pin blog designs they find impressive. Most photographer’s and bloggers swear by their DSLR cameras, but that may not be what you need. Think about what you plan to do with your camera. Do your research. Start out with a camera you feel you can handle. Many photographers say that you shouldn’t buy an expensive camera until you grow out of the camera you have. You can always upgrade your camera and lenses as your skills develop. Take a photography class so you can learn how to use your camera to its fullest potential. A few great photography classes are listed below. 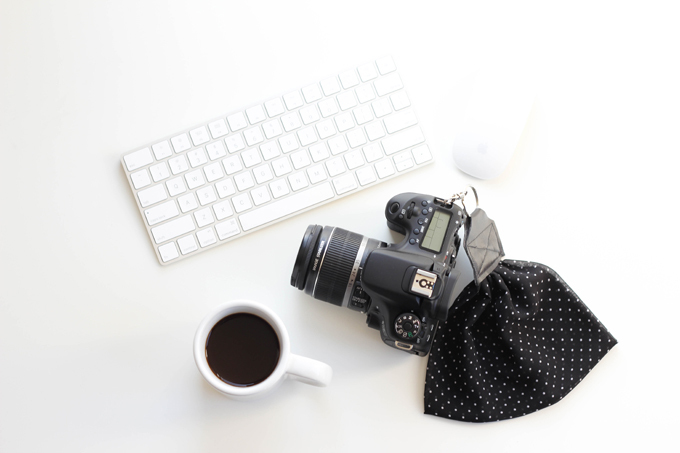 If you struggle in the photography department or simply lack the time to do constant photo shoots, take advantage of the thousands of professional stock photos available to you online. You can find a list of free stock photo sites here or you can find styled stock photos for purchase at the links listed below. With so many great resources available, there really is no excuse not to be using high-quality photos on your blog. It’s impossible to build a successful blog without investing in knowledge. Things in the blogging world are constantly changing, so even bloggers who think they’ve mastered everything still have much to learn! 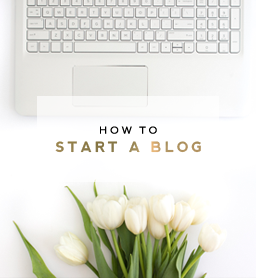 If you don’t have a lot of money in the beginning, start by searching for blog tutorials and tips by knowledgeable and experienced bloggers. We have a whole slew of blog tutorials and blogging tips you can start with that will share the basics to growing a successful blog. 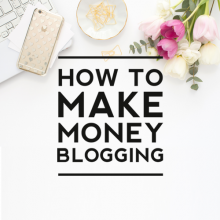 Even though there are endless amounts of free information available to you, to really take your blog to the next level may require you to spend a little money on a good eBook, webinar, eCourse, and/or attending a good blog conference (I’ve linked to an exceptional one below). 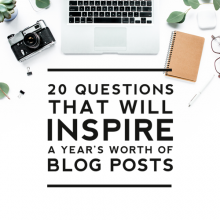 Yes, most of these, especially attending a blog conference, may require you to drop quite a bit of money, but the amount of knowledge and inspiration you’ll walk away with will far outweigh the costs. Blogging conferences give you the opportunity to learn from the best. They also provide you great networking opportunities with sponsors and fellow bloggers. 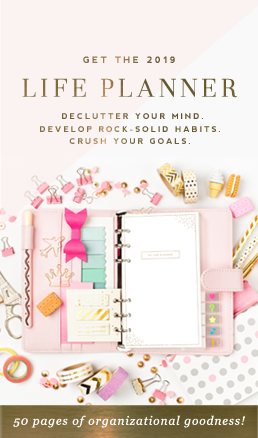 All of these are great investments and will leave you empowered and motivated to really take your blog to the next level. Be sure, however, that you implement what you learn as you go. Some people get so caught up in learning, learning, learning that they overwhelm themselves with knowledge and end up not knowing where to start. Learn a little, then implement. Learn a little more, then implement. 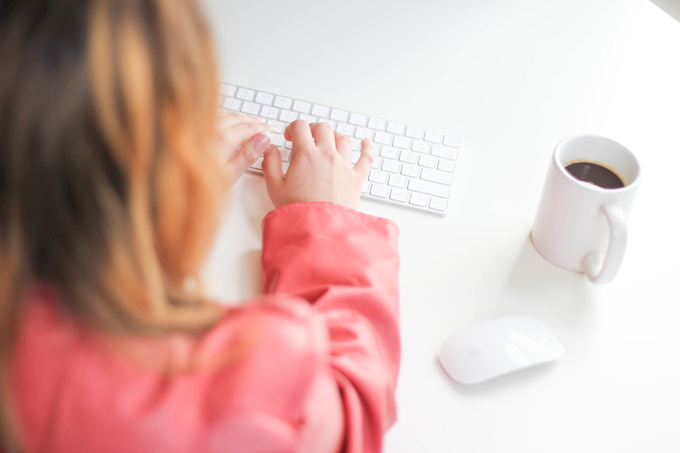 Implementing knowledge all along your blogging journey is the key to growth and success! 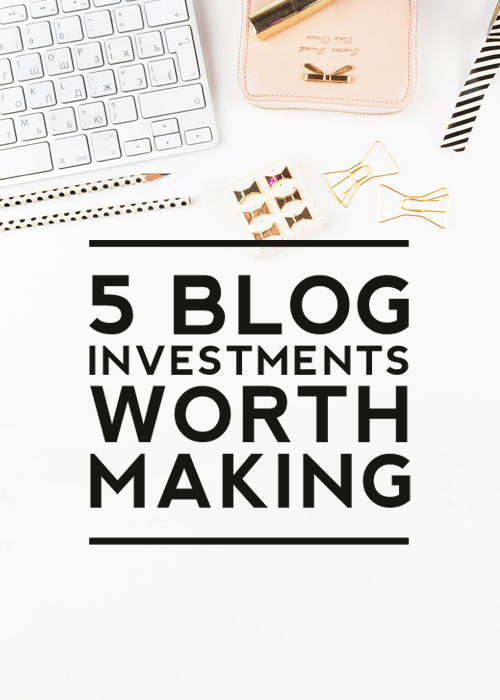 What other blog investments have you found to be worth making? I’d love to hear your thoughts in the comments below. Wow, your website is a well full of helpful blogging info!! Great job, Erin! Very helpful tips and enjoyable to read! Really helful post! I have question: Do you think it’s a good idea to invest in a professional looking blog design despite the number of followers I have?